StanDards / SonGs / ArtiCleS | seedLinG! THIS SECTION IS CURRENTLY IN PROGRESS–CHECK BACK SOON FOR LINKS AND MORE! What does “Reggio Inspired” mean, anyway? 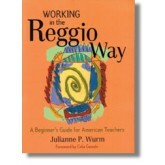 From Wikipedia: The Reggio Emilia Approach is an educational philosophy focused on preschool and primary education. It was started by Loris Malaguzzi and the parents of the villages around Reggio Emilia, Italy after World War II. 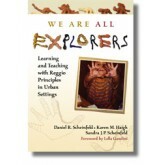 They felt that it is in the early years of development that children form who they are as individuals. This led to the creation of a program based on the principles of respect, responsibility, and community through exploration and discovery. This is substantiated by a supportive and enriching environment based on the interests of the children through a self-guided curriculum. The most important aspect is putting the child first, and facilitating their learning and exploration. This is why a small class size is so important—to give each child the time and attention he or she deserves. One of the most important aspects of a Reggio inspired school is the documentation. As educators, we will be documenting progress your child makes through out the year (photographs, sound clips, drawings, sculptures, anecdotal records, etc.) By the end of the year, you will have a detailed picture of your child’s journey through learning. High-quality teachers seek to meet these standards and benchmarks through facilitating experiences that lead students to make their own discoveries, thereby gaining knowledge through action and hands-on experience (as opposed to a teacher telling the information to a child — cognitively unsophisticated and less powerful learning.) This is considered constructivist learning; the child constructs his or her own meaning through experience. The teacher acts as a facilitator, and when necessary, scaffolds or supports the child to the next level of understanding or mastery. We wanted to provide our parents with a look at what the MINIMUM required benchmarks are for the preschool and Kindergarten classroom. All of the daily learning and activities that we do are purposeful and seek to meet these benchmarks; we do this through an emergent curriculum that is sculpted each day by the children and teachers together (as opposed to a daily curriculum guide that tells what should be accomplished on each day.) Teachable moments, fluid curriculum, hands-on learning experiences, and listening to / talking with students as much as possible–these precepts are at the heart of Reggio Emilia learning. The lists you will find below are a framework that you can also use at home — seek to create hands-on experiences for your child built around one or two of these “big ideas”! -What Are Dolch Sight Words?